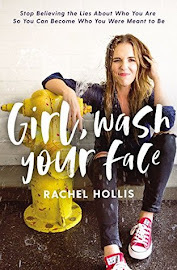 We ended our summer reading with books that were familiar, hilarious, and educational. One favorite (and I think my mom actually recorded it when I was still quite young) was the made-for-TV series about Ramona Quimby. Did anyone else watch these? I believe it only ran for one season with ten episodes, but I got a lot of mileage out of those few episodes because I watched them so many times. I couldn't help but think about that old TV series while we were reading Ramona Quimby, Age 8 because almost all of the episodes were based on chapters from this book. There was the egg-cracking fiasco where Ramona accidentally cracks a raw egg, instead of a hard-boiled one, onto her head, and then she overhears Mrs. Whaley say, "What a nuisance!" There's the weirdly textured meat at dinner, which turns out to be cow's tongue, and Ramona and Beezus complain about it so much that Mr. Quimby tells them they can make dinner the next night. There's the fruit fly larvae in the blue oatmeal (a classroom experiment) and the stomach flu that strikes in the middle of school and the "meow meow" book report. There's Yard Ape and Mr. Quimby drawing his foot and the nice older gentleman who pays for their dinner. 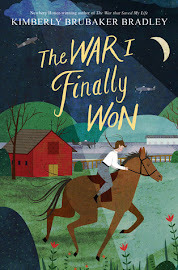 I was kind of glad my kids hadn't seen the TV series because it followed the book so closely that that's literally all I could think about while we were reading it and I think it's nice when they can go into a story without any preconceived ideas, but at the same time, it was kind of nostalgic for me. One of the things that makes these books so continually fantastic is just watching the way Ramona grows up. With each book, she becomes a little wiser and more mature. She focuses on other people (and worries about her mom's job, her dad's school, the faulty car etc.) while also becoming more aware of what people think about her (does Mrs. Whaley think she's a nuisance? is the whole class going to make fun of her because she threw up?). But her growing up happens in the most believable way possible, and she is still very much the Ramona that we've always loved. Soon after we finished this book, and not on purpose at all, we had hard boiled eggs one night when we had breakfast for dinner. I wasn't even thinking about Ramona, but my kids were. Crack! Crack! Crack! All of them smashed their eggs onto their foreheads. Clark, who hadn't listened to any of the story, had no idea what was going on, but that didn't stop him from joining in. Who can resist cracking an egg on your head?! My mom and I have similar tastes on many different things, including books. However, those tastes do not cross at the point of Roald Dahl. She read James and the Giant Peach to my siblings and me when we were little, and that was enough for her. She finds him bizarre and strange and maybe even a little offensive. I find him bizarre and strange too but also incredibly funny, witty, and creative. And that makes all the difference. I couldn't help but think of my mom when we started in on the Twits because it basically takes everything she doesn't like about Roald Dahl and condenses it into one 76-page story. First, you have Mr. and Mrs. Twit--the most despicable and disgusting couple you ever met, not to mention the rudest, too. They play nasty tricks on each other: spontaneous ones, like Mrs. Twit dropping her glass eye in Mr. Twit's coffee, and also carefully calculated ones, like Mr. Twit adding about an 1/8 of an inch to the bottom of Mrs. Twit's walking stick every night so that she'll slowly be convinced that she's shrinking. I'm pretty sure my mom would be horrified to read about such a mean, abusive couple, especially in a children's novel, but my kids and I laughed our way through it. They're just so ridiculous and the perfect villains because they literally have zero redeeming qualities. The thing about this trick is it's kind of out there--like, there's no way you would ever do such a thing, and even if you did, it would never work. And that's the other reason my mom wouldn't like this book. Even though the evil Twits get their just reward, it's all just a little too strange and morbid and unrealistic. But that's exactly why I loved it. I mean, who can pull off something this bizarre and make it absolutely hilarious and entertaining at the same time? Only Roald Dahl. Aaron read this book last year on his own and had been begging me to read it ever since. I'm so glad we did, but I'll be sure to tell my mom she can skip it. Last summer we read the third volume in the Stories of the World series for one of our summer goals. We made a gigantic timeline out of the events we read about, and it ended up being one of the highlights of our summer, but it was also a pretty ambitious goal given its length and the amount of time we had. We really had to pace ourselves and keep on top of our reading to get through the whole thing in three months. 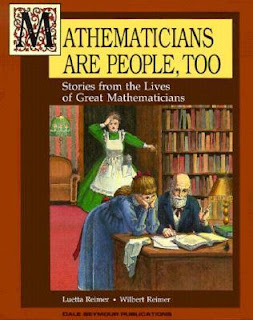 This year, I wanted to have another history-related goal, but I wasn't feeling quite up to tackling such a daunting book, so we went with Mathematicians Are People, Too instead. Comprised of fifteen chapters, each one focuses on the life of a different famous mathematician. Some of these I'd heard of, like Archimedes and Isaac Newton, but many were completely new, and I was always so intrigued by these unknown mathematicians who did so much to move the study of mathematics forward. In fact, some of them contributed so much that I kind of couldn't believe I didn't know about them (maybe if I'd been a math major, I would have). One of these was Sophie Germain. As a woman mathematician in the early nineteenth century, she was up against almost insurmountable obstacles. No one thought a woman could, or should, be doing math. In fact, it was so impossible that she took on a pseudonym, Monsieur LeBlanc, so that she could correspond with other mathematicians without having to overcome the gender obstacle. She was a gifted mathematician and made great strides on the law of vibrating elastic surfaces. To their credit, two of the most famous mathematicians at the time, Joseph Lagrange and Carl Gauss (who also have their own chapters in this book) were quite accepting of Sophie when she turned out to be a woman and collaborated with her on many things. Other stories were incredibly exciting . . . and tragic. One mathematician, Evariste Galois, died at the tender age of twenty because he was forced into a duel over a young woman he didn't even care about. He lost. In his short life, he not only made important strides in algebra, number theory, and group theory, but he was also a political activist and ended up in jail twice for being a little too outspoken. Can you imagine what he might have accomplished if he'd had the chance to live an average-length life? I liked the length of the chapters (i.e., not too long) and that they were filled with both memorable stories and important information about each person's life. My one complaint is that sometimes the dialogue at the beginning of each chapter seemed a little contrived and inauthentic. If you can get past that, and I could, it's a book well worth sharing with your kids, and I'm glad that there's a second volume of stories. Maybe for next summer . 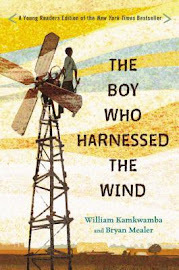 . .
Have you read any of these books with your kids? What's your opinion on the Ramona series and Roald Dahl's books? Please share in the comments! 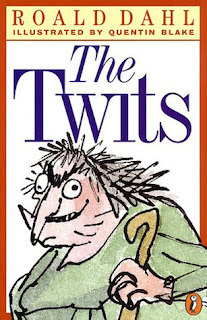 I'm a huge fan of Roald Dahl but have never read "The Twits". It's funny that you just read it because we recently bought a Roald Dahl collection and my girls found it hilarious that this was the name of a book. I'm pretty sure since you already love Roald Dahl, it's not going to shock you or anything. :-) You have to read it, and let me know what you think!!! We read Charlie & the Chocolate Factory this summer & it was nostalgic & delightful. Then we pulled out Charlie & the Great Glass Elevator, which was new to me. I did lots of on-the-spot editing-kids don't need to learn "stupid," "idiot," and "nimwit" from me. The plot was over the top weird but the kids loved it despite my attempt at persuading them to move on to something else. One of my favorite books as a kid was Matilda, but I think I'll have to wait awhile before I introduce them to those completely awful parents. I have not heard the best things about Charlie and the Great Glass Elevator, which is a shame since Charlie and the Chocolate Factory is SO good. I do a lot of impromptu editing as well, so I can relate! I never read the Ramona books as a child, but our family LOVED reading them together. They capture so well what it's like to be a child. They are all wonderful, but Beverly Clearly especially hit the nail on the head with Ramona Q age 8. It just resonates like a golden bell. What skill! I definitely read some of them as a kid, but I don't think I made it through the whole series. But reading them as an adult with my kids has been a fantastic treat. 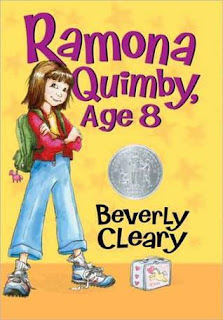 We just love these books so much, and you're right, she hit it out of the park with Ramona Quimby Age 8. Such a great selection here! I loved Roald Dahl as a kid and have been a little disturbed and surprised by his darkness as an adult. That said, I try to keep in mind that it didn't bug me as a child so hopefully it won't be what stands out to my kids now either! The Twits were a favorite here too - so fast and funny and unbelievable. Ha, yes! I'm not saying that Roald Dahl didn't have a dark sense of humor, but I also think that sometimes adults read a little too much into things instead of just letting villains be villains and heroes be heroes.